Congratulations to Emory's first hand transplant team for their inspiring camaraderie & exceptional results! Dr. Cendales and hand transplant patient Linda Lu at 3/28/11 press conference (left photo). Ms. Lu's transplanted hand and rehabilitative splint (right photo). The culmination of several years of preparation, planning, and the coordination of a wide variety of transplant professionals, the Hand Transplant Program of the Emory Transplant Center (ETC), led by Dr. Linda Cendales, successfully completed its first hand transplant on 21-year-old Linda Lu, a college student from Orlando, Fla, who's hand was amputated at the age of one due to Kawasaki disease. Not only a first for Emory, the 19-hour procedure on March 12 was also the first hand transplant in the Southeast and only the 14th such procedure in the country. "This case signals a significant new advance in our ability to care for individuals with upper extremity amputation," said Dr. Cendales. "While this could be considered as an end product or accomplishment, we prefer to view it as the beginning of a comprehensive vascularized composite allograft clinical program that we hope will advance the field." Dr. Cendales led the two teams that performed the transplant — one team was dedicated to the patient; the other to the donor arm (all team members are listed below). The extremely complex surgery involved the connection of numerous structures including bones, tendons, nerves, vessels and finally the skin and required the use of high-powered microscopes. Ms. Lu was placed in a protective splint for 48 hours and is now wearing a high-tech brace that supports the limb while she begins the long process to gain function of her new hand. She will stay in Atlanta for several months for hand therapy to gain strength and function before returning home. Dr. Cendales notes that the first three-to-six months following surgery are the most critical in terms of gaining maximum function. "While the transplanted hand will never be completely normal, it will be able to do much that normal hands do," said Dr. Cendales. "Linda will be able to make a fist, have feeling in her fingertips, have nail growth consistent with her other hand, discern temperature, assist her other hand and even get sweaty palms." Dr. Cendales makes certain to acknowledge and thank the donor family. "None of this or any other transplant would be possible without the altruistic gift from the donor family. To them we send our sincerest respect, sympathy and gratitude." Dr. Cendales, the only person in the United States with formal training in both hand and transplant surgery, assisted in the organization of the first hand transplant team in the United States in Louisville, KY, which performed the first hand transplant in 1999. She came to Emory in 2007 to lead the ETC's hand transplant program and to direct ETC's Vascularized Composite Transplantation and Microsurgery Laboratory, which is developing and refining methods of transplanting multiple tissues as a functional unit. This program is sponsored in part by a U.S. Department of Defense Bureau of Medicine grant to support limb transplantation, a procedure that may benefit soldiers who lose limbs during combat. 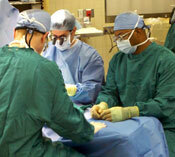 Emory has the only VA-approved limb transplant program in the country. To date, two robotic pancreatectomies to treat pancreatic tumors have been performed at Emory with excellent results by Dr. David Kooby, who was assisted by fellow Emory surgical oncologist Dr. Shishir Maithel for one procedure and Emory urologist Dr. Kenneth Ogan for the other. 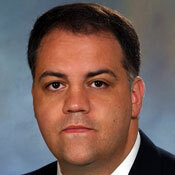 It is not surprising that Dr. Kooby has adopted robotic technology, as he has conducted notable prospective and retrospective assessments of open and laparoscopic methods of pancreas, liver, and biliary tract resection — collaborating regularly with investigators at both Emory and around the country — and directed a national study of the efficacy of laparoscopic pancreatectomy from 2002-2006 that concluded the procedure offered patients shorter hospital stays and fewer complications. A relatively young procedure that was first performed in 2007, robotic pancreatectomy provides a level of dexterity not possible with traditional laparoscopic instruments. Proponents of robotic surgery also believe this technology will come to provide even better patient outcomes and satisfaction than standard laparoscopy. 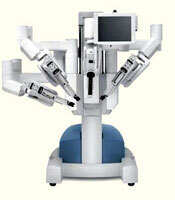 Dr. Kooby and his colleagues use the da Vinci Surgical System, inserting its laparoscope and robotic arms through five small incisions in the patient’s abdomen. They then view the operating field in 3-D at a surgical console, using computerized controls to precisely manipulate instruments with a 360-degree range of motion. 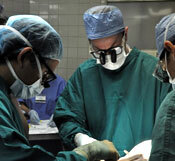 The procedure culminates with the removal of the pancreas (with or without the spleen) through a two-inch incision. The degree of accuracy the robotic method allows would be virtually impossible to replicate otherwise. The technology also makes it easier to preserve the spleen and greatly reduces the complexity of dissection and suturing. The following feature is excerpted from Sylvia Wrobel's “Five minutes from now,” published in the Winter 2011 edition of Emory Medicine Magazine. Timothy Buchman, founding director of Emory’s Center for Critical Care, is taking predictive health to the bedside of Emory’s most vulnerable patients in Emory Healthcare’s critical care units. “Most of predictive medicine is focused on a long time line, typically using genetics to manage risks for chronic illnesses such as heart disease and cancer,” Dr. Buchman says. His focus is on ferreting out immediate threats to life — before those threats become obvious. Take regularity. Generations of physicians and nurses were taught that health is fundamentally regular, and that regularity should be encouraged if not enforced. Three square meals. Twenty-eight day menstrual periods. Even the cryptic abbreviations scattered through the medical chart reinforced the thinking: a normal heart exam was coded “RRR,” regular rate and rhythm. That capacity for moment-to-moment adaptation in response to changing physiologic demand is the true signature of health, says Dr. Buchman. The loss of adaptive capacity — increasing regularity in the face of everyday changes in our immediate environment — signals that something is wrong and the patient is at risk for sudden deterioration. Detecting those responses involves more than glancing at the bedside monitors. Those familiar displays, unchanged over four decades, present only a few seconds worth of data before the tracing runs off the end of the screen. “A few seconds is surely the right time scale to see how patients are responding to treatment of a life-threatening event, but the loss of variability leading up to the event occurs over minutes, or even hours,” he says. The displays need to be redesigned to present clinicians with new and more meaningful information. Clinicians are reluctant to embrace variability as a vital sign, says Dr. Buchman. In fact, many traditional treatments in the ICU, such as ventilators, force regularity onto patients. Reconstituting and sustaining that natural variability might be important in other physiologic systems. Ten days into a critical illness, patients have typically lost most of their normal variation in hormone levels such as cortisol, the growth hormone, and prolactin. “We’re not sure if those losses are the result of the critical illness or the treatments. But patients have to recover at least some variability in order to get out of the ICU,” says Dr. Buchman. “Today, we’re studying the waveforms of patients who go on to have a life-threatening event, teasing out the regularity and testing new metrics of variability — seeing how frequently patterns of heart rate and blood pressure repeat themselves — to see whether the repetition has predictive value in other patients. “We are prototyping new ways of displaying the data that we routinely collect. We have to be able to compare a patient’s current trajectory with her path an hour ago, and moreover to compare both of those with similar patients. With the right metrics and better displays, we might be able to peer a few minutes into the future.” Just far enough to prevent disaster and guide the patient back on course. 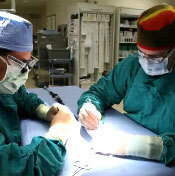 Dr. Ricotta constructs a fenestrated-branched graft, assisted by 2nd year vascular surgery fellow Luke Brewster. 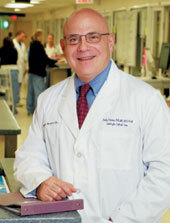 When Dr. Ricotta arrived at Emory in August 2010 he had been perfecting the treatment of complex aortic aneurysms with fenestrated and branched endografts for several years at the Mayo Clinic, having done approximately 100 procedures, and was one of the few surgeons in the world performing the technique. 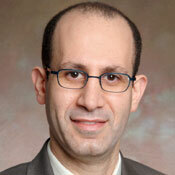 Since establishing the fenestrated and branched aortic stent graft program at Emory, one of only a handful of institutions in the country and the only one in the Southeast that offers the surgery, the service has grown to three-to-five cases per month and Dr. Ricotta has done 25 more procedures with overall excellent results. Patients not only have come to Emory from the Southeast, but also from the East Coast, institutions like Johns Hopkins, and as far away as Bangkok. In addition to performing the procedure, Dr. Ricotta is one of the few vascular surgeons in the U.S. that designs and builds his own grafts using available components. Fenestrated grafts are still in the investigative phase in the United States, and pre-made fenestrations have yet to be FDA-approved. Even in countries where they are available, the grafts must be customized for each patient’s anatomy and presentation, a process that can take up to 12 weeks. Measurements and calculations acquired from computed tomography angiography are used to map the repair area and to tailor-construct the device, which Dr. Ricotta assembles onsite immediately prior to implantation, with customization generally taking between 45 to 90 minutes depending on how many fenestrations are needed. In the hope of advancing standardization of the procedure once FDA-approval is secured, Dr. Ricotta has patents on two devices for fenestrated and branched endografting. Physicians from the U.S. and around the world have begun traveling to Emory to learn more about the technique. Recently, a group of physicians from India, Germany, Greece, and Italy visited Dr. Ricotta’s service to observe several cases. Dr. Sheryl Gabram with a patient. The recent $5 million gift from the Wilbur and Hilda Glenn Family Foundation establishing the Glenn Family Breast Program at Winship Cancer Institute is earmarked for several purposes, two of which will greatly facilitate breast cancer efforts that Dr. Sheryl Gabram is involved with: the expansion of breast cancer tumor biobanking at Emory and augmenting screening efforts in women at high risk for breast cancer. With the awareness that tissue banks were becoming an increasingly essential resource to investigators identifying patient specific characteristics that contribute to clinical outcomes, Dr. Gabram (Director, Avon Comprehensive Breast Center, Grady Memorial Hospital), Dr. Ruth O’Regan (Director, Translational Breast Cancer Research, Winship), Dr. Paula Vertino (Co-Director, Cancer Genetics and Genome Instability Program, Winship) and Dr. Gabriela Oprea (Assistant Professor, Department of Pathology, and PI, Breast Tissue Satellite Bank Protocol) used pilot funding from the AVON Foundation to design systems of data and tissue collection for breast cancer patients treated at Winship and Grady in 2009 and 2010. With a team that included Jeff Weaver, IT, Research and Health Sciences; Research Project Coordinators Dana Allen and Greta Green; and Brian G. Burns, Winship’s Tissue Procurement Lab Coordinator at Grady, they developed a process to coordinate patient consent and data collection and began storing patient information in the REDCAP data entry system. They lacked the funding, however, to integrate Emory University Midtown Hospital into the collection pool, to expand staffing, and to strengthen coordination with the central tissue database and storage capabilities of Winship’s Human Tissue and Pathology Core, directed by Dr. Dan Brat. The Glenn Foundation gift will conquer these obstacles. Dr. Gabram also directs the High Risk Assessment Program at Winship, a one stop shopping, twice monthly clinic that invites patients with a significant family history of breast and/or ovarian cancer, atypical findings on breast biopsies, or history of radiation to the chest wall at a young age to be seen by a surgical oncologist and genetic counselor on the same day. 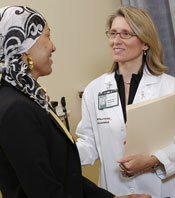 “Our program is unique in the greater Atlanta area because of the physician oncologist/genetic counselor team approach and the opportunity for patients to participate in clinical trials,” she says. The Glenn gift will allow the program to hire an MPH researcher to collaborate with investigators in the Department of Human Genetics on outcomes studies for high risk patients, give patients access to chemo-prevention clinical trials, and provide support for outreach education to increase awareness of the program. 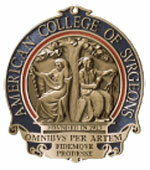 The Department of Surgery will host a cocktail reception at the American College of Surgeons 97th Annual Clinical Congress, October 23-27, 2011, in San Francisco. The date and time of the reception have yet to be confirmed, though the reception's planners have requested either the 25th or 26th. Once the date has been determined, it will be announced via invitations and future issues of this newsletter.